In an age of noise, confusion, and hurry, we often don't hear the voice of God. But listening prayer can add a new dimension to the way one's soul comprehends the great disciplines. "It's perfectly amazing how God not only answers prayer, but how our very mode of praying has the power to change our lives," says Leanne Payne. Over twenty thousand readers have already learned how to improve their prayer life through Listening Prayer. Now available in paperback, this book explores the roadblocks that keep us from hearing God's healing word and sets forth a road map for conducting listening prayer. Drawing on years of experience through her ministry of personal healing, Payne gives helpful instructions on how to begin a prayer journal. "This book is intended to be practical and easy to use," writes the author. "My hope is that it will quickly usher you into a fuller prayer life." 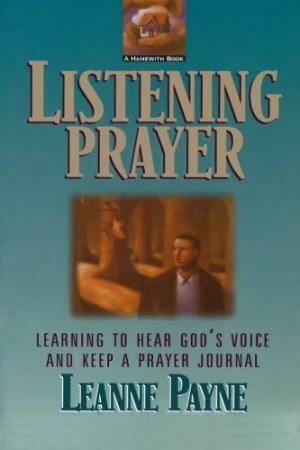 Listening Prayer by Leanne Payne was published by Baker in March 1999 and is our 17132nd best seller. The ISBN for Listening Prayer is 9780801059162. Be the first to review Listening Prayer! Got a question? No problem! Just click here to ask us about Listening Prayer.